NYLPI’s report showed that despite one of the strongest lead laws in the country, there’s been no enforcement against rogue landlords since the law was put into place. 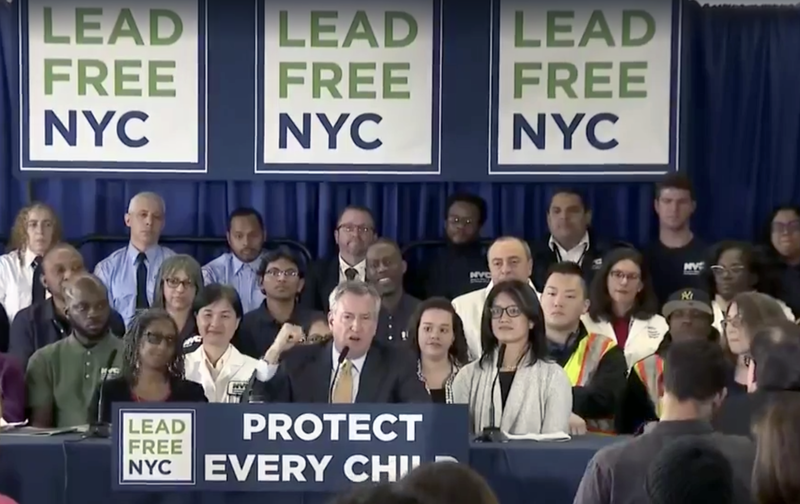 The mayor’s “Lead-Free NYC” plan, released this morning, aims to change that. The press conference was covered on CBS, and by the Daily News. The mayor’s office also quoted NYLPI in their press release on the issue. Gothamist Story on “Predatory Landlords” Cites NYLPI’s Lead Report Gothamist writer and reporter Steven Wishnia focused on the impact of lead on tenants in New York.